As my Client you have the power and ability to enter into an agreement with me on behalf of you personally, or on behalf of a company or organisation. You agree to provide me with everything that I need to complete the project including text, images and other information as and when I need it, and in the format that I ask for it in. You agree to give any project that we work on together your full commitment and you understand that if you don't give your project your full attention that the results may not be as good as you hoped. You agree to review my work, provide feedback and sign-off approval in a timely manner too. Deadlines work two ways and you will also be bound by any dates that we set together. Your Payment is Acceptance to these Terms. Our Agreement becomes effective when payment is received in full (or deposit if relevant) regardless of the place of signing the Agreement, and you agree that for purposes of Agreement, this contract is entered into in Victoria and any dispute will be litigated or arbitrated in Victoria Australia. Legal Rights. You agreed that both myself and my company Netsplashing have legal permission from the rightful owner to use any images or design elements that are provided by you for inclusion on your project or website, and will hold harmless, protect, and defend myself and Netsplashing and our staff from any claim or suit arising from the use of such elements or images. Right of Use. Netsplashing retains the right to display graphics and other web content elements as examples of their work in their portfolio and as content features in other projects. We also retain the right to place a text link on the bottom of every page of the website and it should not be removed without first asking us. Removal without our agreement may adversely affect any future support of your website. Scope Creep. Scope Creep is common in design and development projects like website design, general graphic work and online marketing. It is common when a Client does not know exactly what they want, and their requests evolve over time. Scope Creep slows down a project and often puts myself and my staff at Netsplashing under an added pressure of adapting what you paid for, and the new work you want done, within unrealistic time-frames, budgets and recognition of how complex design work of this nature is. Clients need to be aware that if we agree to do extra work (not set out in the original Agreement) that it does not mean that they will not later charge for it retrospectively and it will become part of the overall package pricing, ergo if any unpaid invoices (including for scope creep work) is not paid at the end of the project, we may withhold handover of the project until it is paid in full and any late fees that were applied to the invoice. Equally, we may discontinue work until unpaid Scope Creep invoices are paid as well at our discretion. Deadline changes are possible if the client provides... Myself with adequate notice of a late due date and it is given in writing with at least 3 days notice (eg. sometimes people have last minute work commitments). Delivery of Projects in a timely manner. Often business owners and staff are busy and have to schedule in the appropriate time to do website edits in order for a website to be ready to go live. However, sometimes businesses take longer than is reasonable and this can put the our hosting servers under stress as it may have an unusually high amount of websites waiting for sign-off on, before they can go live. Please note that we will host your relevant project work and/or website LIVE on our servers (not your domain name) until you are happy with the website to go live. I have always prioritised the completion of my clients’ websites and ensured completion is done within a timely fashion (ideally 1-2wks) so clients can receive their fully functioning and working website within a few weeks from ordering it. As a result we require the same timely fashion to be adhered to be their clients, and now impose a six month cut off from the date of ordering the work and then if completed the project must be accepted by the client (unless an alternative written agreement is made between the client and myself and/or Netsplashing). If after the six month anniversary the client has not taken delivery of their website, and it has lay dormant (ie. Not edited by the client as required by me and Netsplashing to enable final sign-off) then we have the right to “ZIP” the Website into a file and email it to the client, and they can later have the same website put on their hosting of choice and it will function again to the standard it did prior to it being Zipped. However, at that time it will not be mine or Netsplashing’s responsibility to reinstate the website at a later date. The client accepts at this time all moneys still outstanding are still due and payable as the work from mine and Netsplashing’s position have been completed under the agreement. Late Fees May Apply. Due to the cost of securing coding specialists & graphic designers to complete tasks, all work submitted after deadlines may incur a fee of $200 per day unless agreed otherwise but this is only applied with a client who repeatedly delays completion of their project. Late Payment. In the case you have been invoiced for a payment for me or Netsplashing to continue work, that invoice is due within 7 days of issue unless another date is clearly stated as the “due by” date and that is then the real due date. Late payment of any invoices may incur a late fee of $200 per day if we decide this is necessary due to the subsequent penalty fees we have incurred as a result of the client not paying on time and thereby slowing down a scheduled project. In the event you are intending to be late with a payment we recommend you contact the myself or the Netsplashing accounts staff asap to make a suitable arrangement to avoid any late fees. 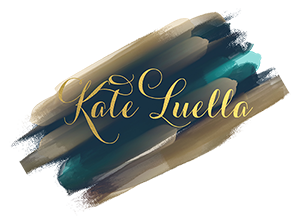 The Client and Kate Luella and/or Netsplashing enter into this Agreement at will. Either party may cancel at any time for any reason with express written notice (including electronic mail) to the other party. Any invoiced work not yet paid for must also be promptly paid within 10 business days and no refunds will be made due to the creative and labour intensive nature of most of this kind of work. Settlement of Disputes. Any dispute arising between the parties as to the construction or interpretation of the Agreement shall be referred to an independent adviser agreed upon between the parties for a declaration of meaning. Where this does not resolve the dispute, the matter shall be referred to the services of a professional mediator to mediate the dispute. Formal legal proceedings shall only be instituted as a last resort. Changes to these Terms. Please view our website Terms & Conditions page on Netsplashing's or Kate Luella's main website here > http://netsplashing.com/netsplashings-terms-privacy-page/any time, to view any changes to these terms and conditions, which we may make, at our discretion, any time in the future. The following information sets out our privacy clauses as per required by the National Privacy Principles from the Australian Privacy Amendment (Private Sector) Act, 2001. When you visit our website you may at some time provide us with two types of information: “Personal information” you knowingly choose to disclose that is collected on an individual basis and “General Website information” collected on an aggregate basis as you and others browse our website. If you use our services you may need to give personal information and authorisation to obtain information from various credit services. Our website utilises a standard technology called “cookies” (see explanation below, “What Are Cookies?”) and web server log files to collect information about how our website is used by visitors. We use personal information for purposes of administering our business activities, providing the products and services you requested, to process your payment, to monitor the use of the service, our marketing and promotional efforts and improve our content and service offerings. A cookie is a very small text document, which often includes an anonymous unique identifier. When you visit a website, that website’s computer asks your computer for permission to store this file in a part of your hard drive specifically designated for cookies. IP addresses are used by your computer to identify you online. This is industry standard and is mostly a security matter. We do not share, sell, lend or lease any of the information that uniquely identify a subscriber (such as email addresses or personal details) with anyone except as required to allow for your work to be done properly. We can provide you with all your personally identifiable information that we collect online and maintain in our database by requesting same from us by email. We may disclose information when legally required if we believe in good faith, believe that the law requires it or for the protection of our legal rights. We may also disclose account information when we have reason to believe that disclosing this information is necessary to identify, contact or bring legal action against someone who may be violating our Terms of Service or to protect the safety of our users and the Public. We are not responsible for the practices of other websites linked to or from our website or the information or content contained therein. Please note that your information will be stored and processed on our computers in Australia where possible. The laws on holding personal data in Australia may be less stringent than the laws of your Country of residence or citizenship. To prevent unauthorised access, maintain data accuracy, and ensure the correct use of information, we have put in place appropriate physical, electronic, and managerial procedures to safeguard and secure the information we collect online. This website allows visitors to unsubscribe so that they will not receive future messages. After unsubscribing we will discontinue sending the particular messages as soon as feasible. Participation in our contests or surveys is completely voluntary and the user therefore has a choice whether or not to disclose this information. Information requested may include contact information (such as name and address), and demographic information. Contact information will be used to notify the winners and award prizes. Survey information will be used for purposes of monitoring or improving the use and satisfaction of this site.